CULCAIRN has inflicted old rivals Henty first loss for the Hume Football League 2018 season beating them in a thrilling contest at Culcairn by nine points. The Lions did it the hard way, coming from 20 points down at half-time to run over the top of the ladder leaders and keep alive its finals hopes. Defender Jess Sutherland was named best for Culcairn, while fellow backman Drew Mortlock had a great tussle with Henty star Damian Cupido. Cupido still managed six goals, but Mortlock wonderful pressure and tenacity saved many more. Ben Gould maintained his good form coming back from appendicitis. 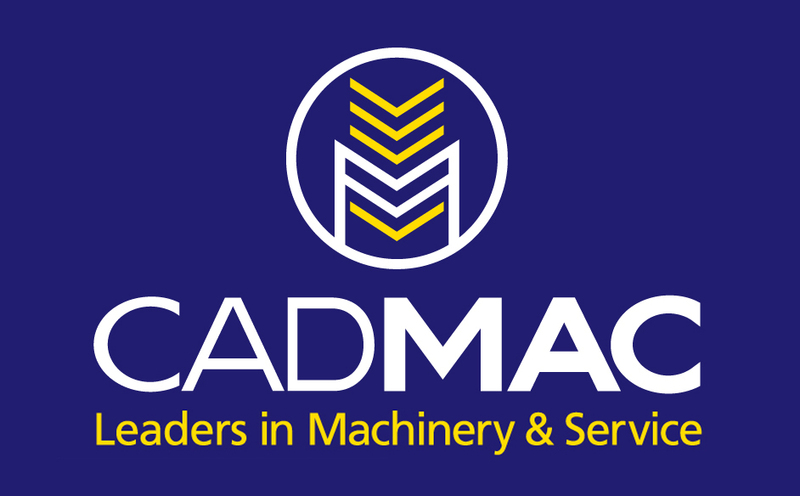 Culcairn turned it on in the second half as they added eight goals to three with Jon Robbins kicking three and Jye Shields two in a top display. Henty remain on top of the ladder, where has just one win separates the top six sides. HOLBROOK and CDHBU played out a dour contest at Holbrook, with the Brookers hanging on for a five-point win in a low scoring contest. The match played in perfect conditions won’t be remembered for much more than the tight and close contest with skill errors marring the contest. Brookers assistant coach and Lavington cricket club premiership captain Sam Harris continued his fine season with another best on ground effort. Holbrook started well with three first quarter goals, before inaccuracy affected them with only four more goals coming from their last 14 scoring shots. Alec Sullivan and Brad Carman were solid for Holbrook, while Tim Cooper, Ryan Mills, Liam Butler and Mick Collins stood out for CDHBU. JINDERA and Rand Walbundrie Walla played out a nail-biting finish at Jindera, with the homeside coming from behind to win by just one point. In a terrible first half of football, in which both teams kicked just one goal each, the second half livened up to become a cracking finish. Both sides banged on seven goals apiece after the main break, with the Giants looking home when they led by over three goals during the third term. The Giants however were made to pay dearly for scoring just two goals in three quarters, with its six goal third term not quite enough. Dylan Pettingill, Matt Osborne and Tim Darcy were best for Jindera, while for the Giants Brian Lieschke, Jeremy Duck and Chris Hutchison were excellent in defeat. 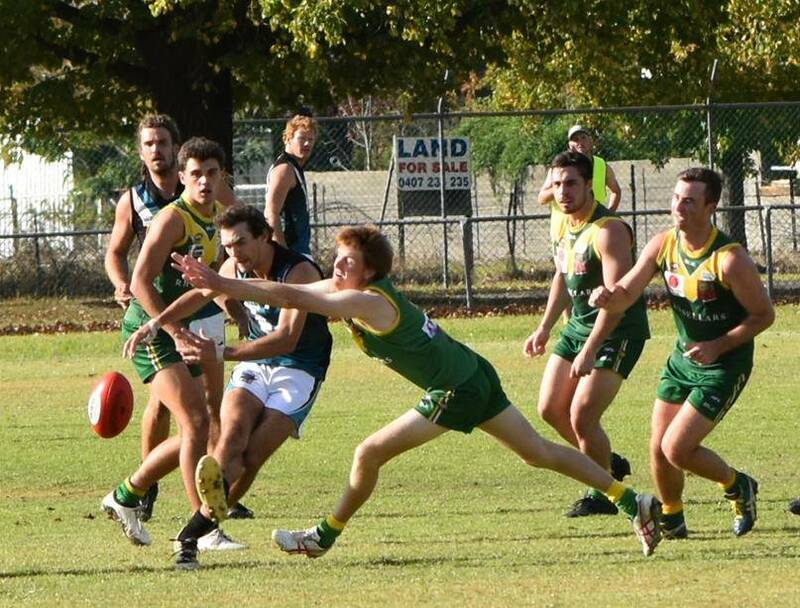 BILLABONG Crows notched up their second win of the season when they also won a one-point thriller over Lockhart, at Lockhart. In a match that was close throughout, the Crows kicked the only goal of the final term to add 1-1 to the Demons’ solitary behind. Lockhart remain the only team without a win this season, while the Crows eighth position is its highest positon for many seasons. Chris Dunstan played a starring role for Crows, along with Zac Kerr and Michael O’Riordan. Matt Endrez, Wylie Harrington and the Bouffler brothers were best for Lockhart. THE might of Brock Burrum Saints proved too strong for Howlong, with the Saints winning by 60 points at Brocklesby. 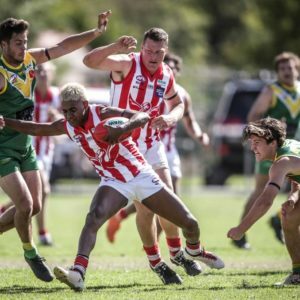 Luke Schilg who shelved pre season retirement plans was outstanding with five goals, while Adam IAnson enjoyed his call up from second grade to boot four goals. Nick Sedgwick played another blinder for the Saints to be best afield. Darcy IAnson and Eddie Ziebarth also stood out. The loss for Howlong was its second successive heavy defeat with its combined losing margin in that time one hundred and fifty seven points. 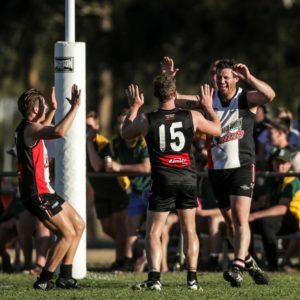 OSBORNE overcame a slow start against Murray Magpies to power away with a commanding 86-point win at Osborne. After trailing by eight points at quarter time Osborne played a superb brand of premiership football in the second quarter kicking 12 goals to one. The defending premiers played the famous fast running, high tempo football they have become renowned for in a devastating half an hour of quality football. The Magpies bounced back to again outscore the Cats in the third quarter, before the homeside finished with a six goal to nothing finale.